No themes were in place this past wine wednesday, although a visit from my friend who works for TGIC imports would prove to be a mix & match of tastings from all over! TGIC imports a fantastic portfolio of international & domestic flavors. We tried the Montes Chardonnay Alpha from Chile. The fruit and finish on this wine was just delicious! 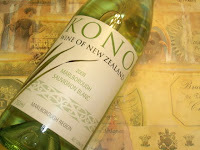 Bright pear & apples, and a bit creamy with just enough minerality to balance it out. I will continue drinking this one through the summer! I think I may have enjoyed it the most, it was true to the New Zealand Style. Pale green hue, very light, but extra zesty. Lots of lime, peaches and grapefruit, with a great dry finish. I was pleasantly pleased for it’s $9 price tag. We finished our whites out with the Cosecha Tardia Late Harvest Chardonnay. This pick was part of our TGIC portfolio, from Argentina. “Late Harvest” implies the use of overly ripe grapes that adds more sugar to the wine. Really cool to taste because while it’s structure was a full bodied chard, it’s late harvest quality made it round out like a Riesling. A fantastic choice for an after dinner apertif. ome spilling out with a lightly tannic, fresh aromatic bouquet! A MUST TRY!